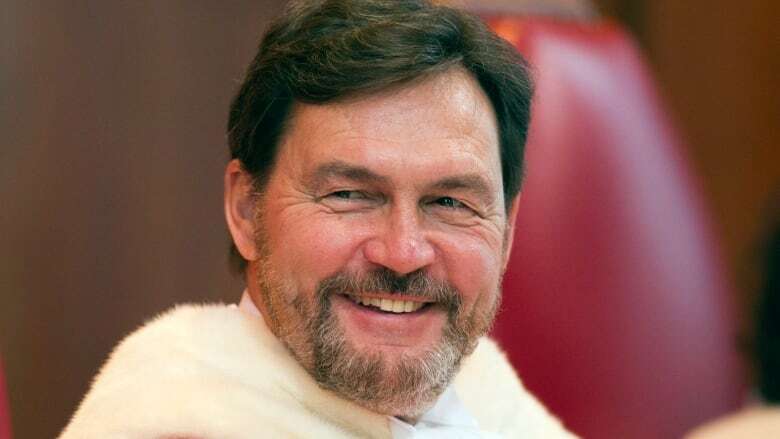 While sounding an alarm about the threats faced by democratic institutions abroad, Chief Justice Richard Wagner told a rare news conference in Ottawa on Friday that he is interested in ensuring the Supreme Court remains credible and connected with the Canadian public. "I think that the Supreme Court and chief justice, in particular, have an obligation to speak to the people and to make sure that the people of Canada keep their faith in the judicial system. And that could be made by our presence, by our speeches," he said, pivoting from a reporter's question about whether the court has a leadership role to play on major social issues. "Right now we see, outside Canada, that some of our basic values, fundamental values and moral values, are seriously attacked by other countries or leaders of other countries, who pretend to be democratic. I'm talking about democracy, I'm talking about the rule of law, I'm talking about respect for institutions and that makes me concerned, because I think we have to be very careful. "And in those circumstances … I believe that Canadian institutions have a role to play ... You know, we are not a superpower, economically speaking. We're not a superpower in military terms. But we are a power in terms of the rule of law, in terms of the moral values. And I think that we should build on that, and say it. "And there are people outside the country that are looking to us, to get our support because they need our support. Because we can speak on behalf of Canadians for those values." The chief justice doesn't often take questions from the media, but Wagner's predecessor, Beverly McLachlin, also met with reporters after she took the helm of the high court in 2000 and again when she retired last December. Wagner was officially named chief justice last December. Wagner announced that the court will visit Winnipeg next year to meet with appeals court judges, local lawyers and community members. He also said he hopes the court will be able to hold hearings outside Ottawa at some point. "I think it would be a wonderful thing for the court and the public," Wagner said. "How we bring the court closer to Canadians is something I think about a lot." He noted that the court has started releasing "plain language" summaries of its rulings that are short and easy to read, but he faced questions about the court's recent agreement with Library and Archives Canada to place a 50-year embargo on the public release of internal documents. Wagner defended the arrangement as a reasonable compromise between transparency and the need for judicial secrecy. Wagner generally declined to comment on specific cases, but he did state an opinion on the value of dissent in court rulings ("I would be very worried if we were always unanimous") and offered thoughts on the disproportionate number of Indigenous people in Canadian prisons. "The number of Indigenous people incarcerated, the proportion compared to the non-Indigenous people incarcerated, is unacceptable. The rate is too high. It reveals a serious problem. And so far as the judiciary is concerned, I think that the court has a role to play whenever the case is presented to the court to decide those issues," Wagner said, noting the court's recent finding that risk assessment tests performed by corrections officials might be discriminating against Indigenous inmates. "We are in a process of reconciliation. It's going to be be a long process. It has to be done. It has to be done the right way. And it involves many stakeholders. And we are committed to do it, within our own jurisdiction." Wagner, 61, was originally nominated to the high court in 2012 by then-prime minister Stephen Harper. Before his appointment, he served on the Quebec Superior Court and the Quebec Court of Appeal. He also had a commercial litigation practice focusing on real estate and professional liability insurance.